Getting into Harvard requires top grades, impressive extracurricular pursuits, and a dynamic personality. But there’s another way in: the Z list. Never heard of it? That’s generally the way Harvard likes to keep it. But according to filings in the recent affirmative action lawsuit against Harvard, the university’s records show that every year about 60 students — mostly white and well-connected — enter Harvard through what is called the Z list. There’s a catch, though: These applicants are required to defer the start of college for a year. Universities across the country have their admissions lists, rejection lists, and waitlists, but Harvard’s end-of-the-admissions-line Z list is a place of both purgatory and privilege. And it holds a rare spot in higher education, college experts say. Few colleges and universities offer an option for students who may have missed the cut for regular admission to the freshman class but have enough pull or potential to earn a place in the next year’s class. And if they do, they’re keeping mum. Harvard’s own Z list has, for decades, been shrouded in secrecy. Still, Harvard’s eminence and its reluctance to talk explicitly about the Z list — who gets selected, how they’re picked, even how the list earned its name — has made it the stuff of lore. “Can someone tell me what a ‘Z’ list is in this case? I know what a Z-list celebrity is, but not this,” a Washington, D.C., parent posted on an online discussion board last year. “What happens after not taking off wait list? Does this secret process Z list happen? How would we know if offered Z list?” another person posted on the College Confidential website. “Do you request? Or would you get a call or e-mail?” another curious poster asked. At Harvard, which zealously guards its admissions formula, the Z list (supposedly named by a lower-level worker in the admissions office for the last group of students admitted, according to The Crimson) may be among its most impenetrable practices. However, the legal filings in the US District Court case confirm what many Internet posters and college experts have long suspected about the Z list. 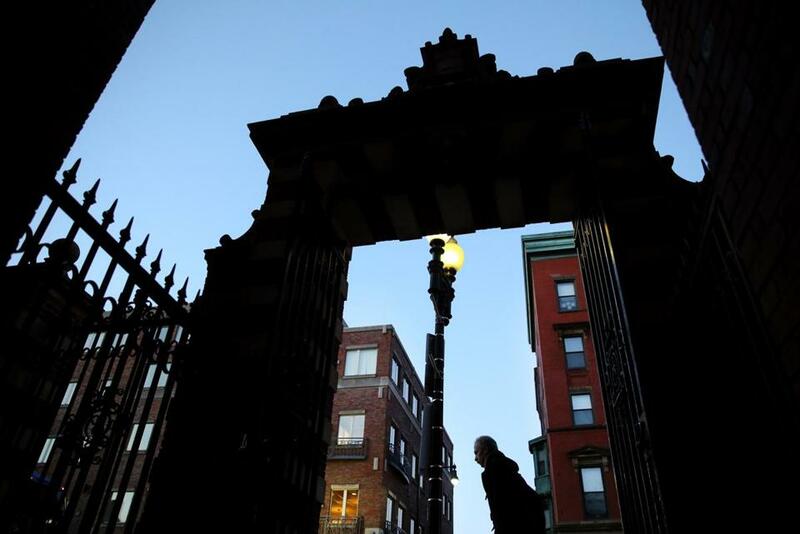 It’s a backdoor channel to get into Harvard, said Richard Kahlenberg, a senior fellow at the Century Foundation, who is an expert witness for Students for Fair Admissions. “Eliminating this preferential program for largely white, wealthy, and well-connected students would be an important way to increase Harvard’s racial and socioeconomic diversity,” Kahlenberg said. Harvard in its filings disagrees that eliminating the Z list would improve diversity. In fact in court documents, Harvard argues that dropping race-conscious admissions, the Z list, and practices common to many schools, such as, giving advantages to children of alumni and donors, and recruited athletes, would reduce the number of African-American and Hispanic students by half. Harvard looks at multiple factors in offering admissions, officials said in a statement. “Harvard College is committed to admitting a freshman class that is diverse on multiple dimensions, from its capacity for academic excellence to its ability to help create a campus community that gives each student the opportunity to learn from peers with a wide variety of academic interests, perspectives, and talents,” said Rachael Dane, a Harvard spokeswoman. Harvard may be reluctant to end the Z list for other reasons, too. The Z list is a way for Harvard to keep its alumni and donors happy while maintaining its reputation as a highly selective college, said Bev Taylor, the founder of New York-based Ivy Coach. A handful of students that Taylor has counseled through the admissions process have gotten into Harvard through the Z list. All had some legacy connection to Harvard and families willing to donate to the school — anywhere from $1 million over four years to several millions — Taylor said. And though Harvard’s offer came late in the admissions process and the gap year wasn’t always planned, most students accepted the conditions. They traveled, participated in gap-year programs, or worked for their parents’ companies, she said. One student rejected the offer and went to Yale University instead, concerned that he would be at loose ends with the year off, Taylor said. Other Ivy League institutions, such as Brown University and Princeton University, said they do not have a deferred admission program such as Harvard’s Z list. Cornell University for the past 30 years has offered some rejected high school seniors a chance to transfer to the campus in the following year, after they complete their freshman year at another school and earn satisfactory grades. About a quarter of Cornell’s approximately 750 annual transfer students come through the program, but it has no relation to donor or legacy status, said John Carberry, a university spokesman. Harvard’s Z list is such an anomaly that some students sometimes wonder if it’s a prank. “Funnily enough, I turned down the call from an unknown Cambridge number,” a student, who was accepted onto Harvard’s Z list, posted on Reddit a few months ago. The student acknowledged that his mother had gone to Harvard and given the college some money. Idabelle Paterson, 19, from Connecticut had never heard about the Z list until she got the call from Harvard’s admissions office while in gym class last year. Paterson said she isn’t sure why she made the list, since nobody in her family attended Harvard and she doesn’t know anybody who gave to the university. “It was so terrifying and exciting and shocking,” said Paterson who just finished up her gap year and is planning to attend Harvard in the fall. She had already committed to Johns Hopkins University when she got her phone call from Harvard. She had two weeks to decide. Paterson said she has spent the year interning at a museum, traveling to New Zealand for a month, waitressing, and attending Harvard’s archeological field school program abroad. The gap year helped her learn to be independent, she said. But she sometimes worried about how it might affect her place among the men and women of Harvard, she said.